1/2" Sockets: 10 - 32mm 1/4" Sockets: 4 - 13mm 1/4" Long Sockets: 4 - 13mm..
Reversible 2 x 12.5 mm (1/2") + 6.3 mm (1/4? ), 72 teeth CR-V Screwdriver handle 1 x 6.3 mm (1/4") o..
1/4" Socket - 4 - 14mm 1/4" Long Reach Socket - 6 - 13mm 1/4" Torx - T8, T10, T15, T20, T25, T30 ..
Set includes following sizes: 10, 11, 13, 14, 17, 19, 21, 22, 24 & 27mm Comes in Plastic Tray & Bl..
Set Includes: 1/2" Ratchet 19 x 1/2" Sockets 8, 9, 10, 11, 12, 13, 14, 15, 16, 17, 19, 21, 22, 23,..
Set Includes: 1/2" E-Sockets - 20, 22 & 24mm. 1/2" Deep Sockets - 16, 17, 18, 19 & 22mm. 1/2" Ex..
Set Includes: 1/2" Ratchet 1/2" Spark Plug Sockets 16 & 21mm 1/2" Extensions 75, 125 & 250mm 1/2..
Set Includes 4, 5, 6, 7, 8, 10, 12, 14, 17 & 19mm..
Set includes: 4, 5, 6, 7, 8, 10, 12, 14 & 17mm. Length - 100mm..
Set Includes: 1/2" Sockets x 20 - 8 to 32mm 1/2" Ext - 75, 125 & 250mm Hex Keys x 8 - 1.5 to to 6..
Sizes Included - 6, 7, 8, 10, 14, 17 & 19mm. 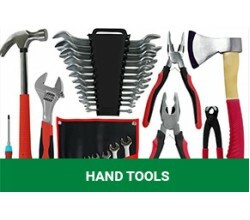 Comes in Plastic Case..
Set Includes: T20, T25, T27, T30, T40, T45, T50, T55 & T60..
Set Includes: 1 x 1/4" ratchet 1 x 1/4" stubby ratchet 13 x 1/4" sockets (4,4.5,5,5.5,6,7,8,9,10,..
Set Includes: 1/4" Ratchet 1/4" Extension - 50mm & 100mm 1/4" Screwdriver Handle 1/4" T-Handle ..
1/4" Ratchet 1/4" Sockets 4 - 13mm 1/4" Long sockets 6, 7, 8, 10mm T-Profile Insert E4, E5, E6, E..
Super Safety and Speciality Bit Set. Additional Bits in Long Version for Screws in Tapped Blind Hol..
Set Inludes: 1 x 1/4" Ratchet 1 x screwdriver with 1/4" socket adapter 2 x 1/4" extensions (50 & ..